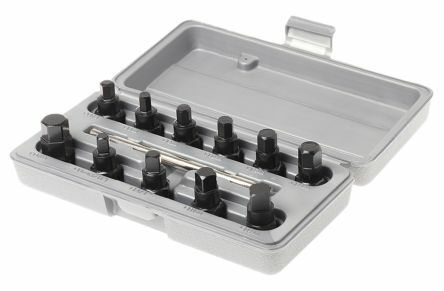 RS PRO high quality 78 piece 1/2in and 1/4in socket and hand tool set supplied fitted in a blow moulded carry and storage case to make a comprehensive complete tool kit. 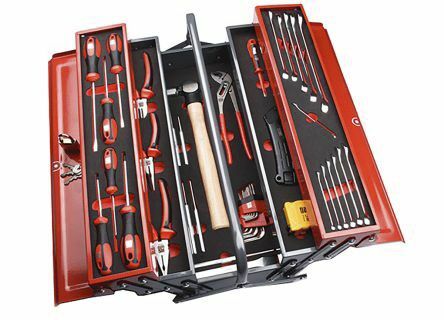 The tools are of high-quality and the easy to carry case is versatile and durable with cut-out slots created for each individual component. 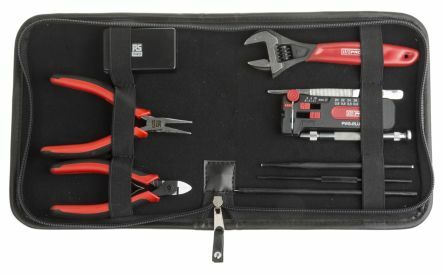 The kit includes an essential and useful selection of screwdrivers, sockets, spanners and pliers plus extras. Manufactured from high-grade chrome vanadium steel, the tools are strong and built to provide years of service. Each tool has its own locating area in the case which keeps you organised. RS PRO have a range of high-quality complete tool sets at an affordable price to suit all your requirements. 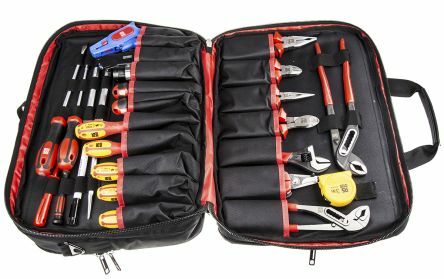 This 78 piece tool kit provides a useful container for storing a multitude of essential tools of all different shapes and sizes. They are made from a sturdy material and are easy to carry making it portable and easy to move around garages and workshops and can generally be used in most environments.